California, on the Pacific Coast of western United States of America, is undoubtedly the best known wine region in the country, and the most historical. While most people associate Californian wine strictly with Napa Valley, the Golden State is actually home to many different winegrowing regions, boasting a dazzling diversity of different soil types, climates and winemaking styles. Each bottle of California wine is labelled with its geographical origin - be it just "California" in general, the specific county, or the even more specific growing area, also known as American Viticultural Area (AVA). A wine is considered in the category of AVA if at least 85% of the grapes used to produce it are grown in that specific growing area. The state of California is today home to over 100 AVA's, each of which has its own unique terroir, different from those of its neighbors. The largest wine growing region (and itself an AVA) is the North Coast AVA, which is home to many of the state's most famous AVA's. These include the northernmost Mendocino County with its foggy, cool climate and its many varietals planted, chief among them Chardonnay, Cabernet Sauvignon, Pinot Noir, Sauvignon Blanc, Syrah, Colombard, and Charbono. Mendocino Country actually includes 10 smaller AVA's, among which the most famous is Anderson Valley. Also on the North Coast is Sonoma County, known for its exquisite Pinot Noir wines, but also producing many other varieties. Sonoma is home to over 500 wineries and some of its most famous AVA's include the Russian River Valley, Los Carneros (shared with Napa), and Alexander Valley. Napa Valley, near Sonoma, was the first to put the California wine region on the map with its signature oaky "Napa Cab" and Chardonnay style. Since then, this famous AVA has diversified dramatically, to also produce Chenin Blanc, Pinot Noir, Merlot, Sauvignon Blanc, Zinfandel and Riesling. Some of Napa's most sought-after AVA's are Oakville, Los Carneros, Rutherford, Howell Mountain, and the Stags Leap District. Expanding across a huge stretch of California coastline is the Central Coast AVA, which can be divided into north and south. In the north, a wide range of wine styles are produced, with some climates favoring Pinot Noir, while others are better suited to Cabernet Sauvignon. Some Sauvignon Blanc, Riesling, Viognier, and Gewurztraminer are also planted in the northern Central Coast, which includes the AVA's of Livermore Valley and Santa Cruz Mountains. Stretching from Paso Robles in the north to Santa Ynez and Santa Maria in the south, the southern part of the Central Coast AVA is known for a range of Rhone varieties (Syrah, Grenache and Mourvedre), along with Italian varieties (Sangiovese and Barbera) and Burgundian Pinot Noir and Chardonnay. The San Luis Obispo County AVA has a diverse array of terroirs and micro-climates, from foggy, damp hillsides in Arroyo Grande to the fresh ocean breeze in Edna Valley. Paso Robles is one of the oldest growing regions in California, with some of its vineyards dating back to the 1790's. Home to rolling hills and not touched by the cooling marine winds, around 80% of the wines produced here are from red varietals. Also situated in the southern Central Coast AVA is Santa Barbara County, made famous by the movie "Sideways." This area includes the AVA's of Santa Maria and Santa Ynez Valleys, along with Santa Rita Hills, and is known for producing excellent Pinot Noir, Chardonnay, Riesling, Syrah and Zinfandel. The Sierra Foothills is home to the quaint mining towns of California, surrounded by beautiful rolling hills and old vines used to produce delicious wines. This area is known for its high-quality Zinfandel, along with Italian varieties like Barbera and Sangiovese, and Rhone Valley favorites like Syrah and Viognier. And finally, there are the regions of the Central Valley, producing around three-quarters of the state's grapes, which are used to produce "California"-labelled wines, and Southern California, where diverse winegrowing regions include cooler coastal areas and warm valleys further inland. 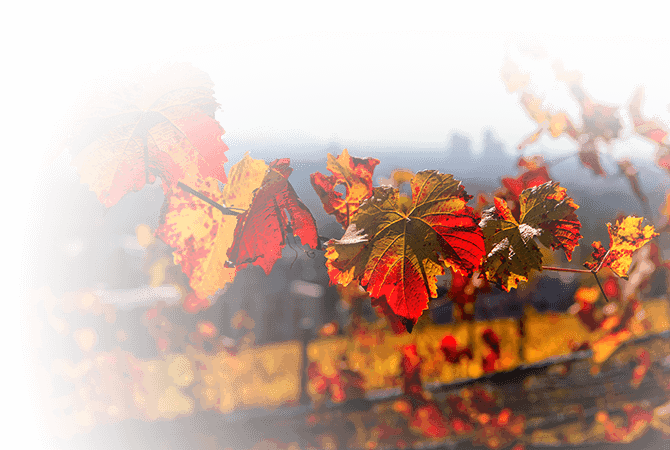 Southern California wine regions include Temecula Valley, San Diego County and Malibu.